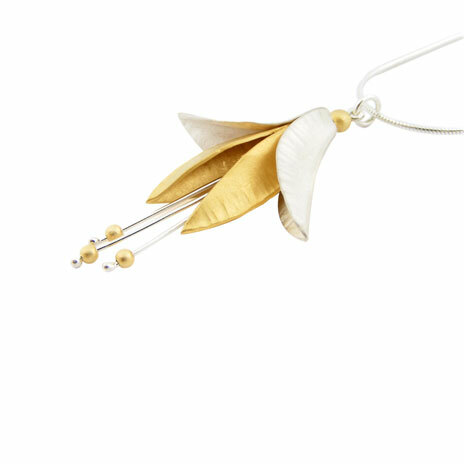 A handmade, gold plated sterling silver necklace. 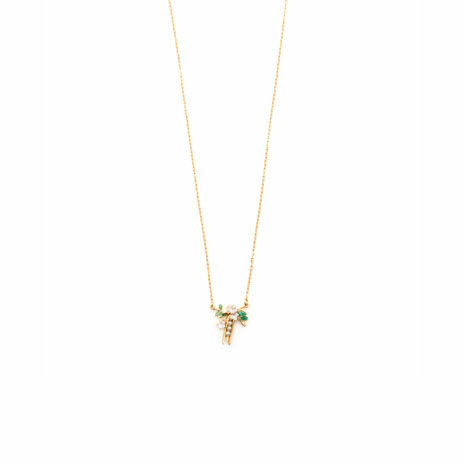 Decorated using green tourmalines and purple jade, with a floral design and an iolite drop pendant. 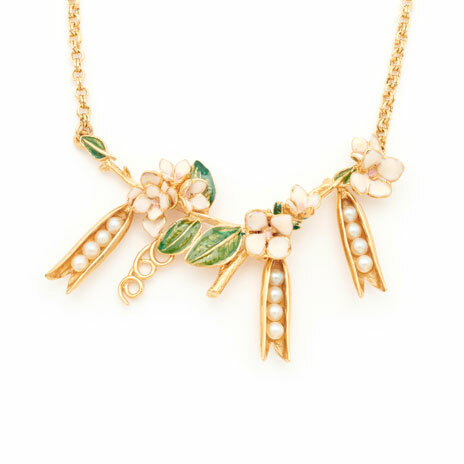 This necklace is from the Dahlia collection which is inspired by bold flowers. Amanda Coleman is a London based designer. 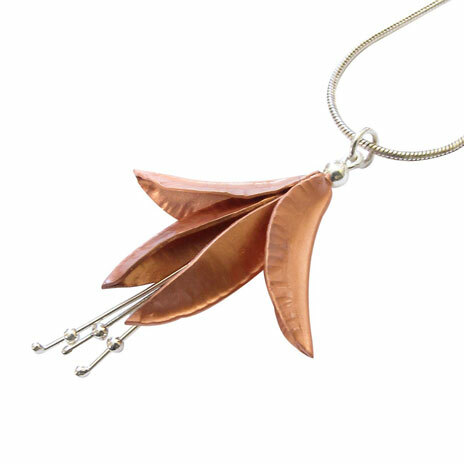 Her jewellery pieces are all handmade and are inspired by the joys of the natural world.